Maritime law is a group of laws, regulations and legislation related to shipping and sea navigation, including accidents and injuries that occur at sea or during activities related to shipping. An individual who has been injured in a commercial shipping or cruise ship accident may be entitled to compensation as dictated under maritime law. This section of Your Legal Guide provides an overview of various aspects of maritime law and how they relate to individuals. Maritime laws such as the Jones Act have been established to protect seamen in the event of an accident leading to injury or death. In addition, cruise ships operating in United States waters are bound by their own nation's maritime and admiralty laws as well as U.S. Coast Guard safety regulations. If you or a loved one has been harmed while on a cruise ship or while working in a sea based industry, a personal injury lawyer can help determine if you are eligible for legal compensation. 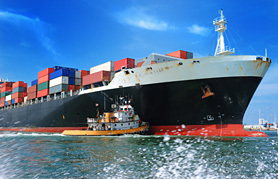 A different but related claim often made by injured seamen involves seaworthiness. A boat or ship is seaworthy if it is fit for its intended use, has safety gear and appropriate equipment and is a safe place to live and work. Claims involving unseaworthy vessels can be filed along with Jones Act claims if the plaintiff's employer is also the ship's owner. Men and women working on the high seas suffer an excessive number of injuries, often in situations where they are days away from medical facilities. The Jones Act was created to protect these maritime workers in cases where their employers are guilty of negligence. This complex federal law applies solely to working seamen and covers only breach of duty on the part of the employer or coworkers during the course of employment. Jones Act claims may be filed for accidents taking place on the ship or any place under the employer's control and generally must be filed within three years of the injury. The Jones Act requires maritime employers to provide "maintenance and cure" to injured workers. Maintenance refers to money for food and housing, and cure refers to medical care and rehabilitation until the injured worker has reached maximum recovery. Millions of passengers board cruise ships each year. The vast majority of these people have little or no experience with ship safety procedures and equipment. To make matters worse, cruise ships present many potentially dangerous situations. From collisions to cabin fires, passengers face risks the moment they board the ship. Consequently, cruise ship operators have a heightened responsibility toward their customers. Cruise Ship Fires. Although the safety regulations of foreign-based cruise ships are determined by the nation in which the ship is registered, the United States Coast Guard requires that all cruise ships taking on passengers from U.S. ports adhere to the International Convention for the Safety of Life at Sea (SOLAS). This includes steps involving fire protection, firefighting and lifesaving equipment. When a fire breaks out on a cruise ship, both passengers and crew can quickly find themselves in significant danger. While cruise ship fires are usually put out and most passengers are unharmed, the smoke from the fire can also have serious effects. Over the years, there have been many instances of heart attack and other health complications as a result of cruise ship fires. When cruise ship operators fail to take the appropriate fire-related precautions, they are liable for any harm that comes from fires that break out. If you or a loved one has been harmed in a cruise ship fire, a maritime lawyer can help determine if you are eligible for legal compensation. If you or someone you know has been injured or killed in a cruise ship accident, you may be able to gain compensation. Other Cruise Ship Accidents and Issues. While dramatic incidents such as large fires and damage leading to a cruise ship sinking gain the most attention in the media, they are actually quite rare. Far more common are accidents such as food poisoning and slip-and-fall injuries. Crew members are often able to recover compensation for medical care, living expenses, lost wages, pain and suffering and disability. U.S. Maritime and Admiralty Law. Although the United States Congress possesses certain powers to regulate matters involving maritime and admiralty law, Article III of the U.S. Constitution and the Judiciary Act of 1789 assign jurisdiction to the courts. According to the U.S. Coast Guard, 710 boating-related deaths occurred in 2006, up from 697 the year before. A significant percentage of the boating accidents that take place each year are preventable. Common factors contributing to boating accidents include carelessness, reckless operation, excessive speed and operator inattention. Alcohol use is a contributing factor in nearly 20 percent of all boating accidents. But while neither Congress nor state governments may infringe on the jurisdiction of admiralty courts, these courts have very limited jurisdiction. For example, cases involving small craft boating accidents do not fall under the category of maritime and admiralty law and states may have jurisdiction in instances where the case is primarily a local matter. International Maritime Law. For the sake of both commerce and human life, most nations agree that admiralty and maritime law should be clear and consistent across international boundaries. As a result, legislative bodies worldwide attempt to create uniform rules and regulations. In addition, nations work to form agreements, such as the UN Convention of the Law of the Sea of 1982, that regulate the actions of seafaring vessels in international waters and establish guidelines that nations must follow when an incident or disagreement occurs. Wrongful death claims may be filed based on maritime law, the Jones Act, the Death on the High Seas Act and other laws. A ship's flag determines which nation's admiralty law it is subject to. For example, a French ship sailing in Greek waters is subject to French admiralty law. This also applies to the ship's crew.